Whether you are on the road, attending a conference, or away on holiday, your projects will stay by your side. With native iOS, Android, and iPad apps for Zoho Projects, any place can become your desk. No matter where you are, stay up-to-date on everything going on in your project. Feeds keep you updated about ongoing discussions, tasks, comment threads, and much more. Stay in the mix and post a status, add a task or milestone, and submit issues wherever you may be. Want to check some items off of your list while travelling? Get down to business right away by landing at Home. 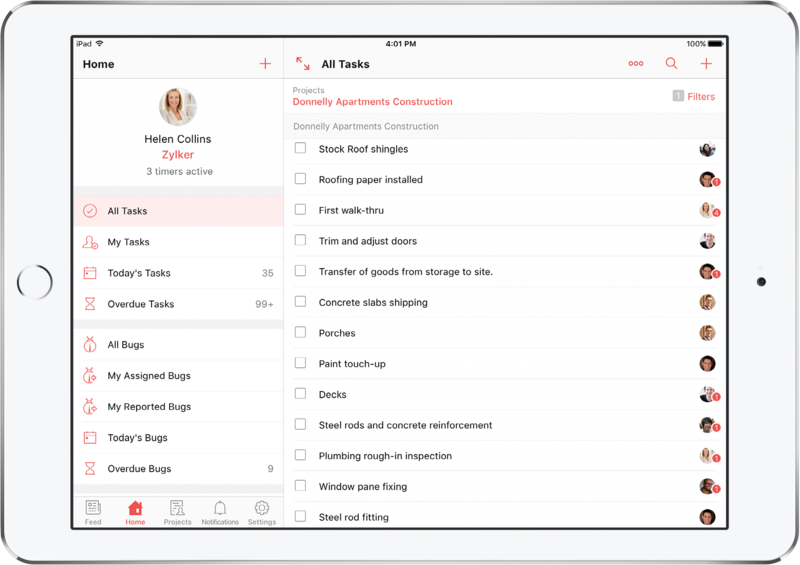 This page is where you view tasks assigned to you, issues that need your attention, and your active timers. When you're doing work outside the office, it shouldn't go unnoticed. Use the timesheet module to log hours for your tasks and issues. You also get to see a daily, weekly, ormonthly view of your logged hours, so you can see all the hard work you've put in. Need to share an important document or presentation with your team? Quickly upload your word document, spreadsheet or presentation file from your mobile device. 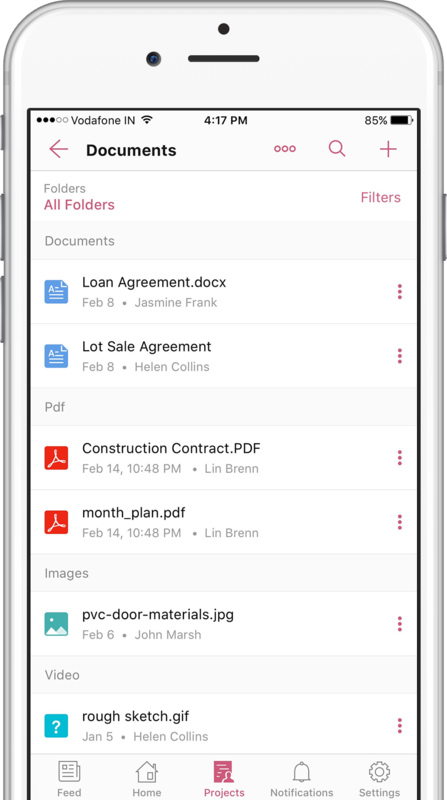 Get access to the latest version of any documents uploaded by your teammates. View it however you like. Our mobile apps support both the List view and Kanban view for tasks. Switch to whichever one you prefer to view information easier. The app is designed for both portrait and landscape modes, so you can change your device orientation and experience a fast, smooth transition. Change your app colors to suit your mood.As your tastes change, so can your themes! Support for multiple file selection lets you add more than one image or document at once. Multiply your files, divide your work. Carry your projects, wherever you go.